When designing your product, especially a treasure hunt with a theme, it is very important to the long term value of your brand to stick to your own design guidelines. Larger organisations have brand guideline documents outlining the rules of using their brand. Making a poster which deviates from your brand, even just this once, is the beginning of the end for your look as you know it. It opens up the range of what is acceptable for future activity, in a bad way. There is a good reason why Treasure Hunt Design is used by such brands as National Trust. Their designs are respected and incorporated into their treasure hunts. Make some rules for yourself, stick to them, and the longer you do, the stronger your brand will be. 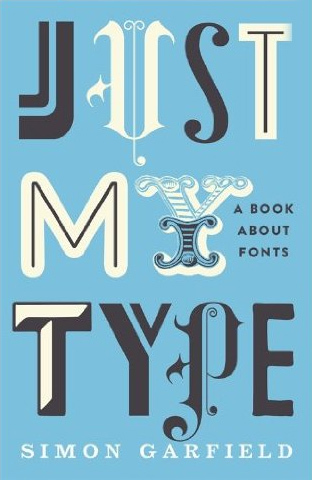 Just My Type is a book of stories. About how Helvetica and Comic Sans took over the world. About why Barack Obama opted for Gotham, while Amy Winehouse found her soul in 30s Art Deco. About the great originators of type, from Baskerville to Zapf, or people like Neville Brody who threw out the rulebook, or Margaret Calvert, who invented the motorway signs that are used from Watford Gap to Abu Dhabi. About the pivotal moment when fonts left the world of Letraset and were loaded onto computers … and typefaces became something we realised we all have an opinion about.